Regardless of which side of the aisle you stand on, it’s hard not to notice the phenomenon that’s been sweeping across Facebook over the last few days. 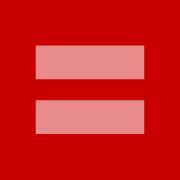 Supporters of gay marriage rights were asked to switch their Facebook profile picture to a red equal sign to represent their support, and it’s hard to deny the visual impact that this grassroots strategy has made. Taking cues from this movement, it’s exciting to think about the ways in which businesses could harness this same potential to incite change and spread the word. For example, companies could ask employees to change their profile pictures in support of an important event, cause, or product launch. Or property managers could encourage residents who support a particular charity or other social movement to temporarily switch their picture to spread the word. With little time, effort, or money, you could harness this tactic on your social media platforms to lead a movement. This simple approach has created unbelievable buzz, and is a superb branding strategy that could be put to use in a number of ways, across numerous industries, and with relatively little effort. If you’ve ever questioned if social media is effective, the proof is in the sea of red equal signs taking over Facebook.